Kevin and Marcy Bryan have worked as a team in film/video for over 25 years, helping missionaries creatively tell their stories, and serving as full-time media missionaries with 3 different ministries. Marcy is a writer with a Masters in Communications and authored 3 books. Kevin is co-founder of VisualPoet Studios and Director of Photography for City on a Hill Productions. He has worked produced for Papa John’s Pizza, University of Louisville, IronMan, YMCA, Humana, and shot in over 35 countries. Marcy is a home educator, creative consultant for VisualPoets and life coach. The Bryans live outside Louisville, KY and have 4 children - three college-aged and a 3rd grade daughter. Kevin has served on GoodSoil's Board of Directors for 5 years. Click here to watch a trailer of his recent work "THE SONG" in theaters nationwide. Mark and Jill Brazle were missionaries in Flemish Belgium with Larry and Gayle Good and Blair and Susan Roberts from 1977-1993, planting churches in Leuven/Rotselaar and Antwerp. Mark was minister for the Cuyahoga Falls church of Christ for 20 years until joining Missions Resource Network (MRN) as Co-director of Missionary Care in Bedford, TX in 2013. Mark holds an M.R.E. in Missional Leadership from Rochester College. Jill recently retired as a math education instructor for Stow High School, in Stow, Ohio. Mark and Jill have 8 grandchildren, including 2 in Tanzania and 2 in Belgium. 2 in North Carolina, and 2 in Michigan. Glenn and Nancy Robb served 11 years in Belo Horizonte, Brazil, starting three new churches, and laying the foundation for future church plants. They moved from there to the Atlanta, Georgia, area to plant a new congregation. In Atlanta, Glenn was Education and Small Group minister for the North Atlanta Church of Christ, where he also served as an elder. Currently the Robbs live in Murfreesboro, Tennessee, they are working with the North Boulevard Church of Christ to establish a satellite congregation, with a vision for it being the first of many reproducing churches. Glenn and Nancy have three adult daughters and a son-in-law. Glenn joined the GoodSoil Board of Directors in 2014. Donna and Stephen Meeks founded GoodSoil Ministries, inc. in 1999. Stephen serves as President of the Board of Directors for GoodSoil, and is the Board of Directors for Holler Ministries in Fletcher, NC. Serving in the Appalachian mountains for over 18 years, they formerly worked for a decade in Kenya, East Africa as members of a church planting team. Donna is a homeschool educator and mentor. Stephen is a Certified Temperament Counselor with the National Christian Counselor's Association and is pursuing a Masters degree in Marriage and Family counseling. 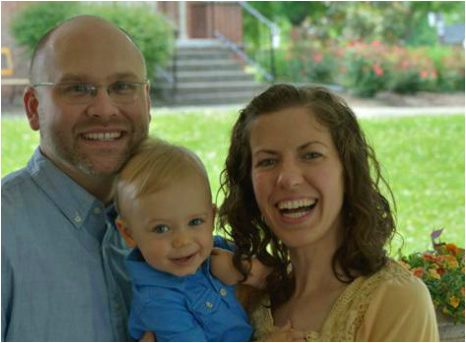 Dwane and Molly Perry entered missions as vocational missionaries in the Pacific Northwest. Later, they moved to and served in Leipzig, Germany for five years where the results of their church planting efforts continue to today. Currently, they live in Dermott, Arkansas where they operate their own business and serve in the church there. Dwane was a founding member of the GoodSoil Board of Directors. Molly is a homeschool educator. They have 8 children. The oldest two daughters continue to periodically serve the mission in Leipzig. Tim and Hope Cooper have been associated with GoodSoil for more than a decade. Hope was an intern with us when in college and attended our Mission Camps several times during her teens. Tim is now senior minister at Cornerstone Church in neighboring Williamsburg, Ky and has been associated with GoodSoil for almost 10 years. Tim was a high school educator and coach before entering full time ministry in 2014 and holds a Masters Degree in Education Administration. Hope graduated from Lipscomb University. They have two delightful children, Seth and Lilly.